By Gergana Tzoncheva: I attended Elena Shumilova's workshop in the summer of 2017. Brendan was amazing host. I also stayed for the extra day where I was amazed by the number and diversity of models and locations he has arranged. I would definatly do it again if I have the opportunity. By Rachel Kelly: Brendan is fantastic at his work. I have been to a workshop with him recently and I really loved it ! Brendan is brilliant at what he does and makes you feel comfortable ! He's great crack and brilliant to be around Photos From Ireland. By Chantal Brossard: My best trip to life! Brendan made us discover Ireland with so much passion. It was unforgettable... we loved to be back next summer. Thank you for everything! By Betty Laurent Bellomy: I loved our photo tour so much and Brendan was amazing at bringing us to so many gorgeous places and gathering models for us to photograph!! He also did such an amazing job at organizing Elena Shumilova's workshop. Most of all , thank you for your kindness, warm welcome and sense of humor Brendan!!! By Johnny French: Brendan is a photographer with attention to detail, his professionalism and humour is flawless. This was my second year being part of the Elena Shumilova workshop/tour day organised by Brendan Diver. Cheers buddy for yet another fantastic opportunity and experience. By Karen Wiltshire: Fantastic host , great photography tour around Donegal . 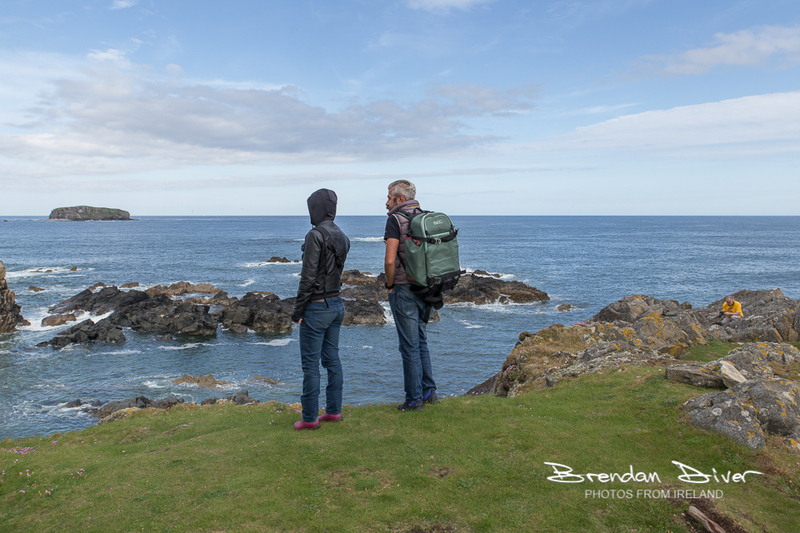 Brendan has a huge amount of knowledge and enthusiasm for both the area and photography. I loved my time in Donegal can't wait to do it again . By Jacky Turner: Brendan you were an amazing host, your enthusiasm and attention to detail were second to none. The passion you have for what you do shone through! you made it such fun for everyone. It was well organised and I will definitely be back, I can't wait to meet up for a northern lights tour! By Romeo Vasileniuc: Awesome landscapes, awesome people. One of the best place in the world. Thank you Photos From Ireland for making this possible on our lives ! By Danielle Hagens: Absolutely the best workshop I ever attended thanks to the amazing organization by Brendan from Photos from Ireland. Brendan is the kindest and most enthusiastic person I have ever met. Without him these days in Ireland wouldn't have been so successful. Thanks for everything Brendan and I will return to Donegal for sure!!! By Ellie Borman: Brendan hosted a workshop and photo tour that was top notch. Well organized, beautiful spots a great variety of models. Saw parts of Ireland that without Brendan I would have never seen. He was great about telling you the history of each place. I hope to attend another workshop/photo tour soon. Thanks it was awesome! By Victoria Vykhodtseva: Elena Shumilova's workshop in Ireland was an exceptional experience. Elena was generous to share not just the photography skills but her art with us. I am lucky to have had the opportunity to be a witness of how her masterpieces were being created. Very inspirational! All this was made possible due to the efforts and enthusiasm of Brendan Diver. Everything was organized perfectly well! I can't imagine what a huge amount of work Brendan put into this to make it happen. We were just enjoying friendly and creative atmosphere during these days, not to mention the 1-day photography tour that followed - fantastic models, spectacular locations and awesome photographers from all around the world! 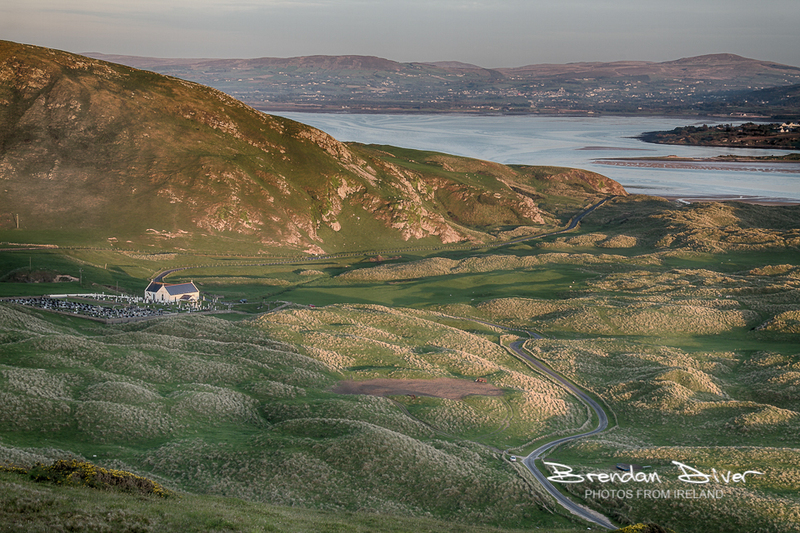 I would be happy to return to Donegal again. By Carol Beggs: I thoroughly enjoyed the workshop with Elena and Brendan. It was one of the highlights of my month long vacation in Ireland. Elena is so marvellously proficient in photoshop and I really enjoyed watching her do the post processing. Brendan, thank you for organizing and for going out of your way to help my husband with respect to his fishing. He caught 12 big sea trout so he was a happy camper. I am now home and can't wait to start processing. (after getting over the jetlag). Thank you again Elena and Brendan and to Sean Derry and the beautiful little models. They were fantastic! .....and I am really missing the "full Irish breakfast" I had every day at the Strand! By Mari Ward: I recently spent 3 days in Ballyliffin at the Elena Shumilova Workshop and the photo tour of Inishowen, all organised by Brendan Diver, Photos from Ireland. Brendan is a dedicated and passionate photographer who also has great organisational skills. His enthusiasm and good humour are totally infectious and nothing is too much trouble for him - he will move mountains to ensure everybody has a memorable experience, both photographically and socially!! The craic continued well into the night with Brendan and family providing us with award-winning Irish music sessions. If you want a great photographic experience in Donegal, with the opportunity to make new friends with a shared passion for your art, under the guidance of somebody who knows the best locations then look no further. I highly recommend Photos from Ireland. Thank you Brendan. By Ramona Hambrick: Finally life has slowed down enough for me to sit down and begin in ernst sorting through and editing my photographs from my trip to Ireland. It's been wonderful reliving that amazing time. I feel so very fortunate to have been able to participate in the Elena Shumilova 2017 workshop and the photo shoot tour on wednesday organized by Brendan and Photos From Ireland. Thanks to his hard work and his love and knowledge of all things Donegal, everything was well organized and fun. We were afforded beautiful sites that most people wouldn't know about. There are so many people to thank, from The Strand Hotel, the models, the tour company that drove us to different locations and of course Brendan. I treasured meeting new friends and learned amazing new photographic techniques. Wednesday 3rd October 2018 and Thursday 4th October 2018 subject to demand we will be running a photography tour around some of the most amazing photoshoot locations that Inishowen, Co. Donegal has to offer. This was very popular on previous workshops and as a result we are extending the tour from a one day tour to a two day tour. Bus will collect photographer's in the morning from the Strand hotel venue and will be taken around the most scenic locations for landscape and portrait photography. Models will also be supplied for the day and there will be no direction from Photos From Ireland but the chance will be there for you to take in the beautiful locations and to build up extra special images for your own portfolios in your own style. Bus will drop everybody back at the hotel again in the evening. Please bear in mind you are in Co. Donegal where the weather can change very very fast and can be unpredictable. So it is advisable to make sure you have suitable clothing for outdoor conditions that can change quickly. As these two days are outdoor locations please bring suitable clothing for different types of outdoor photography. When you have booked the tour our partners The Strand Hotel will contact you via email to see if you would like to reserve a room at the hotel. We will also send you a booking discount code so you can avail of the discount for the accommodation. Rooms will not be showing available online as these have been reserved for everyone attending the tour. Any bookings made for the tour only. Accommodation, travel, food etc.... are extras and will be covered by the participants on the tour. All fees paid are final and if a someone cancels place on the tour fees are not returnable due to we need definite confirmed numbers to run the tour. Please do not book a place unless you are committed to attending as refunds cannot be given. In the event that for any reason or Brendan Diver from Photos From Ireland has to cancel the tour due to unforeseen circumstances participants will have their monies returned in full for the workshop. Monies paid for travelling, car hire, flights, accommodation etc..... are at the participants own expense. 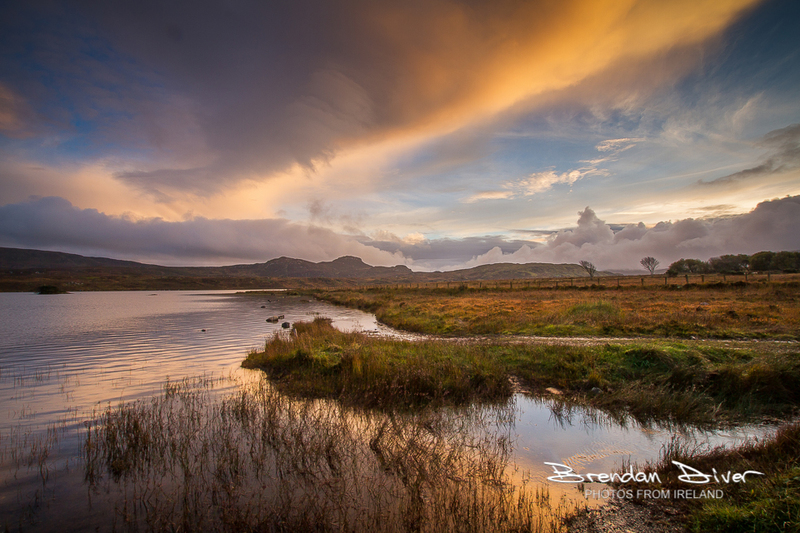 The weather in Co. Donegal is unpredictable and very changeable if it is unsuitable for taking photographs outside then alternative indoor location will be available inside for the workshop. The optional photography tour will be outside and as we will be travelling to different landscape locations for example top of mountains, near the sea, etc..... suitable outdoor clothing must be taken by the people attending. Photographers must ensure that they have their own photography computer equipment insured and are responsible for it at their own risk. Brendan Diver from Photos From Ireland or The Strand Hotel or any of the photoshoot locations or workshop partners are not responsible for your equipment. Please bring a warm windproof clothing and strong shoes and boots, warm hat.